When a birder reported seeing a singly Swallow-tailed Kite (STKI) in north Georgia, Mark McShane and I went to the spot, tried to relocate it and we found nothing. 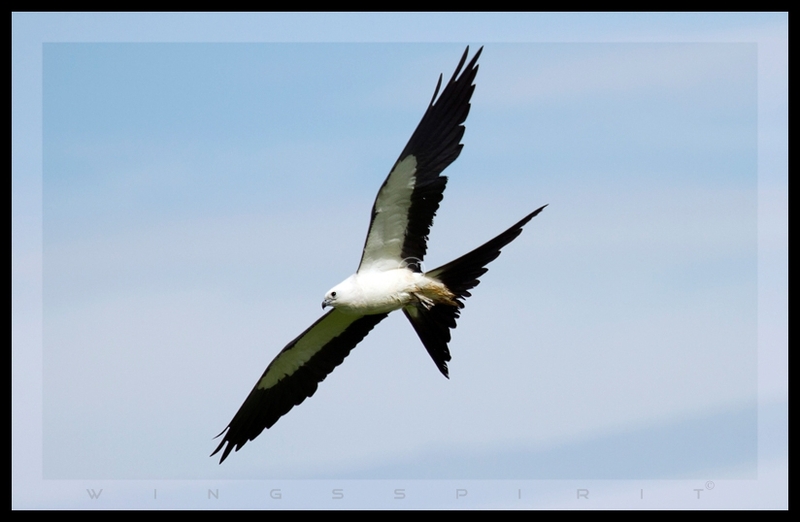 Mark mentioned there is a place in Brantley County (Click here for GPS Location link), every year these kites will forage in a large flock about a month or so for their after breeding dispersal and seeing a huge flock of STKI is the most amazing and exuberant experience he has! I jokingly told this friend my love goes to hummingbirds and no other bird can take my breath away. Mark tried very hard and wanted to convince me to go see these kites, due to my other obligations, I'm not sure if I want to drive over 300 miles to see one bird. Plus, there is no guarantee if these birds will be still there when I go down ..... Few days later while hesitating, my phone rang. Mark's weary, but happy voice at the other end. He just finished his pelagic trip down to the Florida's coast, he wanted to know if I'd like to come down Brantley County to join him on his way back to Atlanta. 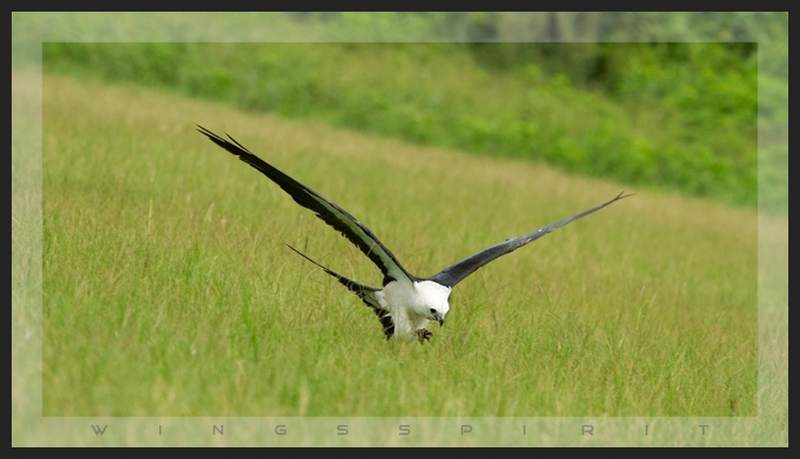 He said "Linda, I am sure you will change your mind about your hummingbird after seeing these graceful Swallow-tailed Kites, plus you can photograph them ..." As soon as he said "photograph them", that tickled my fantasy for snapping a unique species which only nests in a very small, localized area of south Georgia. A graceful wind chaser! Click image to enlarge. See how he rotates his tail to hold his head and body in the air. No need a landing gear! Linda, I'm the birder from North Carolina who you met at the kite site. Sharing the kites with you made it even more fun. I loved seeing your excitement and appreciation of the kites. Your photos are video are wonderful. Thanks Shelley and I'm glad meeting you at this magical place! Thanks for those "pushes" and finally I got saved! I am sure we will bird together in near future and feel free to drop me an email so I will have yours too!